In a faraway archipelago to the south, a lush, peaceful landscape can be found amidst an ocean of corals. 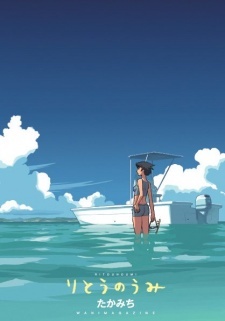 This is the story of a beautiful island bathed in sun, its inhabitants and a girl who was reared by the ocean. If you're familiar with any of Takamichi's previous works then you'll know what to expect from them this time around. A solid manga with less focus on story and plot with a more character driven feel with the focus being on the setting (which is developed very well from the art) and how characters interact within that place. The art is beautiful and fits the feel of the manga very well. Overall, very enjoyable short read with great art and characters placed in a beautiful setting.